If you are planning on going back to work after your maternity leave, or maybe after a period of being a stay-at-home mom or dad, and you are starting to research daycares you’ll find an overwhelming amount of information on what makes a good daycare. We’ve come up with a list that summarizes much of the conventional wisdom that’s out there. We, of course, are proud of the high-quality care that Rainbow Chimes provides to the Huntington, NY area. 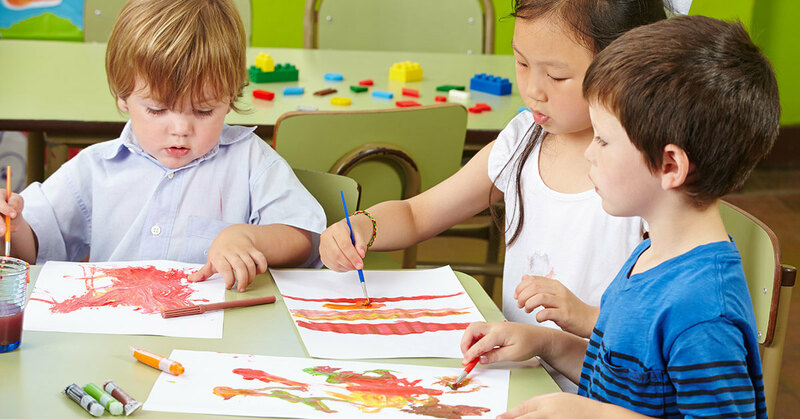 We provide this area of Long Island with daycare that uses the High Scope Curriculum, which has proven over the decades to produce active learners who turn into successful adults. Here are some of the factors you will want to consider when choosing a daycare for your precious child and how Rainbow Chimes meets those needs. The last thing you want to be doing is spending more time away from your child. You want your daycare facility to be conveniently located near your home or on your commuting route. Rainbow Chimes is located in Huntington (Suffolk County, Long Island, NY), with easy access to the LIRR, Route 25 and to the Northern State Parkway. You want to make sure your infant, toddler or pre-k child has their individual needs met in a compassionate and loving way, just as you would meet them. Caring for a child’s basic needs is not enough, a child needs stimulation and developmentally appropriate tasks and games to help them meet their developmental goals. In our next blog, you can continue reading about what to look for in your infant toddlers or preschoolers daycare.